I read somewhere that everyone has a cut-off gauge for happiness — a kind of setpoint. Somewhere in there is my happiness gene. Where is it and can I make it bigger? No matter if something WONDERFUL happens — you hit the lotto, you get your dream job, you lose those pesky 10-20 pounds, have a mind-blowing love fest, meet someone for the first time that you like, get over something painful, etc., etc. But once you experience that PA-POW of happiness, your intrinsic, intangible thing that’s stamped into your own unique DNA will put you back where you are on the continuum of “happiness.” And that’s that until the next big PA-POW happens. Sigh. I think there’s some truth to that. According to an article in U.S. News, the reason why some appear happier than others has to do with genetics — allegedly 50% of our happiness is responsible for this. Life circumstances have to do with 10% percent of that — you may be rich, gorgeous, have more money — all these external things only have 10% of why you’re happy. I can go through this whole range in a day, but I find myself somewhere between just past the “happy” to the “a little ticked off” phase most of time. Sometimes I give in to the “sadness” and being just pissed — sometimes for a reason and sometimes for no reason at all. Happiness — Is it Overrated? Maybe we put too much emphasis on being happy. We feel like we must be in order to succeed because we know that negative feelings result in negative actions. I don’t consider myself one of those overly-happy people — you’ve met them and seriously, they can be annoying — or maybe I’m just jealous. Perhaps their setpoint is higher than mine. Being “happy” takes more work than being negative or sad. I try to be positive for the most part because it feels better. But happy, well I’m just not all the time and it probably does have something to do with my genetics and other life stuff I’ve been through. But joy — that to me is the good stuff. Happy is when you land a great assignment and you excel. Get a new car after you’ve driven an old clunker for awhile. Get a raise. Lose a few pounds and that pair of jeans that didn’t fit, do. It’s a feeling of contentment. It’s pleasurable, it feels good, doesn’t it? You can be happy with Mr. or Ms. “Wrong” for awhile. It lasts for awhile, but it fades a little when that first initial adrenaline pump starts to wear off. Joy. Joy is a different thing. Joy is when you feel that giddiness from loving someone, that first feeling of fall-l-ling in love. Watching your child take her/his first steps or say a word. Really seeing a sunset or sunrise. Making a difference in someone’s life because of a kind word or deed. It’s indescribable but it feels so good, your body goes through physical changes. It bubbles up inside and feels like it shoots out your fingers and toes. Makes you want to jump up and down. Makes you cry from the overwhelming magnificence of it. Feeling an surety that you are not alone and that you matter. Seriously, I’m just thrilled to be here! Bet those endorphins, serotonin and dopamine are lighting up in your brain right now just from looking at me! 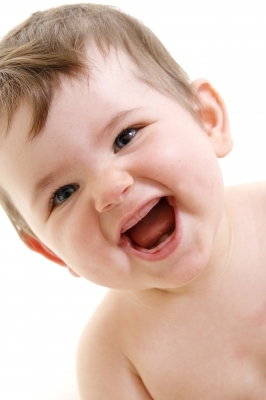 A baby experiences joy on a regular basis. They just are and they have those big sweet, guttural laughs and feel it way down deep inside them from simply being. I think they’re like animals — they see things that we don’t because we get all caught up in striving to be happy, even when we don’t feel like it. The older I get the more I just give into those feeling of “meh” or being not so happy because I know eventually it will pass. Sometimes we need help and I’ve been there too. I don’t know what the point is to my rambling except maybe this: Happiness isn’t something you can chase after. I think it comes in nice little waves and some of us are possibly more genetically predisposed to that feeling of contentment on a more regular basis than others. I’m okay with that because when those contentment waves come, it feels really good. And joy, well that does too — it’s not as often — because if it stuck around all the time, I’d never get anything done. I’d be like that little baby and just sit around and laugh all day. Lou Ann, thank you and so was your post on being happy. Hope the song brings you a little bit of that. Have a great weekend! I read an article that basically was talking about not everyone is ‘happy’ and that we need to accept that some people are just not apt to show their emtions on the outside. Some people are just more morose – and not necessarily in a negative or bad way. I have a friend that doesn’t understand that not everyone is ‘like him’ – always being positive and happy but quick to point out how you need to improve yourself or whatever self-help stuff is going on their life. I hate the premise that we are so flawed that we need to constantly change ourselves. Yes, I think about my actions a lot and I’m reflective but I certainly don’t think that everyone needs to express their happy/joy/frustration etc in the same manner as me. I like cranky people – they seem to like me too. Wherever I work, the crankiest person always seems to get along with me – and I’m not a cranky person myself – nor am I an over-the-top-happy-pollyanna either. But there are times when I want to do cartwheels down the hall b/c I’m so excited… but we are all different and I like that you are accepting of your ‘meh’ self. I completely agree with you Ruta. I hear what you’re saying and I’m in the middle myself…but I can get plenty cranky, trust me. I do accept my meh self. Sometimes it loves putting on pjs, eating popcorn and watching lots of movies and I’m perfectly fine with that. ;). Total agreement. I can be plenty cranky myself. My husband is completely opposite of me. He’s introverted, quite and often looks stern – but he’s not – it’s just he is not emotionally over all the place – whereas I’m a bit of a spazz sometimes. We compliment each other. He’s the Yin to my raging Yang to quote Smithers. I’m also perfectly fine with lounging aroud all day long – it’s one of my favorite past times! I am with you on this. When I get up in the morning, and listen to a lovely song on the radio, it brings me joy. That feeling is all I want, and wish to hold onto. Happiness, on the other hand is loaded. It pressures you. It makes you doubt every decision you make, and wonder if it’s messing with some invisible ‘happiness meter’ that you hope to redeem in the future. Maybe I am taking the easier way out, but I prefer joy! Hi Aparna…isn’t that strange how music can do that? One of the best feel-good things in life I think. We’re all different and I’m guessing everyone’s definition of happiness is as well. On the other hand, joy, that feeling is universal I think. Thank you and have a lovely weekend. :). While I do think that happiness is overrated — I’m one of those lucky ones who knows how to be happy, while being a dark person even. I think being dark and happy can inhabit the same space. I’ve been lucky to be able to be here now and proclaim, “I’m so happy.” I remember a few specific instances of this where I just stopped and said this. Now that’s living! Sandee, I know what you mean! Sometimes we like to play sad or dark music and the feeling that comes that kind of intermingles with the happiness thing, if that makes sense. The older I get I realize just how important it is to be HERE AND NOW and just how good that is. When I was younger I fretted more about the past and worried about the future. I try very hard not to do that. Thanks and have a great weekend! Thank you, Craves. Yep, that’s a tough one — not allowing yourself to be controlled by another person in terms of whether you’re happy or not. I’ll wish you good luck with that and thank you so much for your kind comment. Happy Friday to you! Yeah, that struck me as little odd myself, Carrie. I’m certainly no expert and I agree with you about the 10% thing. This was kind of a lighthearted take and was in no way intended as anything else. And yeah, I agree there are people who have more serotonin swimming around than others. I DO understand that. Have a great weekend! Oh, I know it wasn’t meant as a scientific interpretation. But it’s very interesting nonetheless! Why thank you, Carrie. ;). I’m not sure if I’ve talked about this that much, but I’ve had times in my life (before Joining Church) when I was depressed. I don’t know why, and I think most people don’t, they just are. I did know what made it better or worse though. Now, I am happy, but mostly just on the inside. What helps me is I try to be conscious of what is happening around me. The only thing that I can control is myself, so if something upsets or saddens me I try to take a step back and realize that whatever it is really isn’t going to effect me that much, and I choose to not let it effect my mood. This is really hard, and I’m still working on it, but I’m much, much better than I was before, when I would just run away and try to drown everything out. HI BroJo — always nice to see you here. I think faith has much to do with it and I agree with you I think some people suffer from depression and don’t know why. It’s great you’re happy “on the inside” because that’s the part that matters the most, I think! It’s very difficult to not let things, situations and people upset you, but I agree with you, if you try not to, it’s definitely worth the effort. I’m so glad you’re feeling better — I really believe many of us go through those periods in our lives. I’m so glad you enjoyed it and thank you for taking the time to read and comment — it’s so appreciated. Have a great weekend! Well, I agree with that great quote from Abraham Lincoln…”Most folks are as happy as they make up their mind to be.” Thanks for the post, and have a good w/e. That is a great quote, Healthy! Thank you and you have a great weekend too. I agree with you totally. I feel okay just being content, not over stimulated, but content. I feel joyful about it. Hey rep, how are you? I like that — you feel joyful about being content. I too think it’s a pleasure to “know” you. :). J, what a great comment and you know you’re right. If we felt HAPPY!!! all the time, we wouldn’t appreciate it when we do. I’m the same way — sensitive and soaking up others’ stuff, but I try not to. And, I agree with you — sometimes I think so much so (our culture believing we should be happy all the time) make us feel quite the opposite and if something’s wrong with us if we aren’t — all the time! Thank you and have a great weekend. That’s actually a really good way to look at it. You can’t expect to go out looking for happiness and expect to keep it perpetualyl forever (assuming you ever find it). Without an opposite emotion, happiness loses its meaning. Amen sister! Thank you, Becca — you are wise beyond your years. :). There’s definitely something to be said for an even keel and I think you adapt more and more to that as you mature. Although I do like some giddy every once in awhile. ;). Thank you, Jackie — always nice of you to stop by. Jackie, I don’t know why I called you Sara, but I changed it to your name….where the heck did that come from? Sara, what a great quote! I’m going to have to add that one to my list of quotes I keep. That’s part of being still — what you’re referring to — of acknowledging whatever emotion you’re having. I’ve read people who practice meditation frequently talk about this — just acknowledging it and then letting it go. If I’m not mistaken, you meditate regularly, yes? It’s the letting go that’s the difficult part for me sometimes. I like calm as well. I’ve often thought one of the best things you can ask God (or Universe or whatever deity) is — give me peace. if you have that, then I think you can do anything and face anything. Thanks and so glad you enjoyed. ha! caught out 🙂 Yes I do meditate regularly. It’s the letting go that’s hard for me too – that’s why I said I practice it 🙂 Peace, I believe, is food for your soul. Babies and seniors are the happiest I think. At the beginning of life and near the end. It’s like we remember the magic of heaven or we are in touch with our real selves, our essence at these times. What do you think? D, I really think you have something there and you’ve expressed it so beautifully. When I think about it, it makes sense! I believe you are right, my friend. Thank you for your insight. Margarita, I was on that rollercoaster ride myself for years and it gets exhausting! I am high-strung though but my hubby balances that perfectly — he’s the yin to my yang. I so agree with you. It’s not anyone’s job to make one happy — that’s alot of pressure, don’t you think? Wisdom comes with age I think and having a sense of humor is invaluable. Thank you, friend and have a glorious weekend. xoxo. Sorry to be getting to your post so late, Brig! You did a great job on this topic. The idea of a “happiness set point” does feel accurate, doesn’t it? I think it’s interesting to note that Euphoria, like it’s opposite, depression, falls under the heading of mood disorder. I understand depression to be either a chemical imbalance, situational or a combo platter. “Chemical imbalance” and genetic predisposition probably go hand in hand. So I suppose we could fit happiness into these slots as well? What do you think? I like your definitions of Happiness as opposed to Joy. Joy seems to be felt deeper and is more lasting where as happiness seems more fleeting. I actually do have moments of euphoria where I feel very expansive, like I’m on a happy high. (It’s not the annoying kind because I’m sort of inward with it.) I get this when I’m at the beach staring off into the ocean or skiing in the mountains, or communing with nature in some capacity. The rest of my family suffers from depression and Bi-polar disorder. Lately I feel like I need to be around people that match my level of happy energy. The other is way too heavy and hard to be around and it weighs my spirit down. Mind you, I’ve been around depressed people personally and professionally my whole life. Now at age 50 I’m ready for a change, even if that means saying goodbye to some relationships. I know… This is such a rambler! Oy! Talk about heavy! haha! Anyhoo… I think to be healthy, we should try and surround ourselves with people and relationships that match or boost our happiness set point. What do you think? Lisa, thank you! And I agree, there’s clinical depression, situational depression and what you’ve mentioned a chemical imbalance. I’m sure you know a great deal more about this topic than I do. 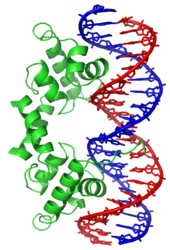 I do think genetics has to do with many things physically and emotionally — whether it’s nature or nurture. And yes! Joy — that thing you feel — it’s more than happiness. I know EXACTLY what you mean by being around people that drain you; been there myself. I like to surround myself with people who believe in the good, believe that life is good and just to be on this earth and living life is a wondrous gift. Believe in hope, faith — you know those intangible things that make life so sweet. I think we forget that sometimes because we’re human. I strongly believe in ending relationships that are toxic to the soul and surrounding yourself with people who love and value you. My Mom always said it’s easier for a group of people to pull you down instead of you pulling them up. I think that’s true. I believe in giving people the benefit of the doubt, trying to be there for them, but there comes a point where you also have to be the best YOU you can be in order to live the life you deserve and that sometimes means leaving relationships in order to open yourself up to new ones. And you thought you were rambling! Thank you for your wonderful insight — I truly do learn a lot from what you call your rambling. :). Ah, joy. Definitely a different thing from happy. I’m only now really learning this! So I try to go for the joy, and take the happiness when it comes. I find that doing so actually makes me happier overall, if that makes any sense. Have a good weekend, B! Totally different. I’m a woman of many moods so I take it when I can get it too, Weebs. Thank you and what you “say” makes perfect sense. You have a great weekend too, J. Great post. I figure you need downs to recognize the ups! Hi there — so nice to see you!!! And you are absolutely right about that. Thank you so much for your kind comments and have a great weekend. Thanks!! Always nice to connect with you, too! I hope you have a fantastic weekend too!! Smiling as I listen to “Don’t Worry, Be Happy.” 🙂 I agree that we can’t chase happiness, but I think that when we are being who we are supposed to be in the world and when we are pursuing our passions, there’s more potential for joy. Hi Sally, that’s it — exactly! It takes a while to discover that — sometimes you have to go through some painful stuff to get there, but it’s so worth it. Thank you and enjoy your weekend! Another pleasant, non-jarring musical interlude. And apropos! I DON’T think we put too much value on happiness. A human lifespan is a long time to live if you’re unhappy. Unfortunately, I think we not only fail to understand what happiness is (and it’s a tricky thing to define, although I have seen a very convincing, and somewhat scientific definition in Shawn Achor’s “The Happiness Advantage,’ where, incidentally, I first heard about the genetic component to happiness), but we don’t seem to know how to get it. The first thing to understand is that your mood is only a component of happiness. 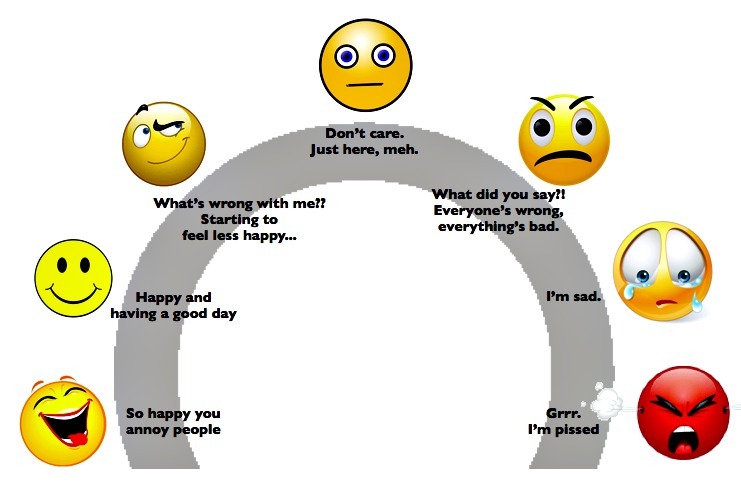 Happy people have bad moods. Happy people get depressed. Happy people feel sad. However, happy people are much better equipped to deal with these things than are sad-sacks. You’d think it would be the other way around–Suzie Q has led a charmed life, so when something bad happens to her, she must therefore sink in utter defeat. So often, however, these people get back up and start again, many times with more success than before (they learn from their mistakes). Have you ever noticed how (independent of social status or wealth) some people catch all the breaks, and other folks just can’t seem to keep their head above water? It’s how they face things. In many cases, happy people have just as many “problems” as unhappy people, but they see them as annoyances or as a fact of life. In the interest of full disclosure I should say that it’s easy for me. I am one of those aforementioned genetically happy people. My mother was a happy person, my grandmother still is. My wife is a happy gal and my children are happy (although the youngest is more mercurial than anyone else to whom I’m related–blame the red hair). But I know that happiness is possible for the other half (I don’t know the percentages); it’s just harder. Why thanks, Smak. I’ve not read this book that you speak of — I’ll have to trace that one down but I’ve heard the thing about genetics having something to do with your capacity to feel happiness. Makes sense somewhat I think. I agree with you. I consider myself a pretty happy person but I do have bad moods and get in those low moods. Took me a while to figure that out. And I do understand what you mean about how others seemingly catch all the breaks. I guess that’s the 40% thing that we have much to do with our happiness and part of that is how we react to situations, successes, failures, etc. A friend who has seemed to have much drama in her live once said to me: You live a charmed life, things always seem to land in your lap. I laughed at that because my perception was the opposite. To me, it seemed I worked very hard for my achievements. As always, I love your comments and your perspective. You seem like a different person over here sometimes. ;). I know–that concerns me a little bit (not just here, but in the handful of my other favorite blogs as well). I think it stems from a couple of things. One–so much of what I write on PT is satirical, and not meant to be taken seriously (anything written by Tardsie however is intended to be true and a straightforward representation of my thoughts), but when I comment on blogs such as yours, I am being myself (for lack of a better word). What makes the disparity more pronounced on a blog such as yours, is that because I find your posts so thought-provoking, and because they tend to be about positive subjects, I tend to write at length about topics that don’t get much attention in PT (although I’ve actually made a couple stabs in the last month at posts about happiness). The reason this concerns me is that I don’t want my comments here (or anywhere but PT, really) to be taken as insincere. Let me hasten to add that I don’t think that you do, but it’s something that I’ve been thinking about for a while, and your comment gave me a chance to vocalize it. So I appreciate that. And once again, because I sometimes give the erroneous impression that I’m irritated or being snarky, let me assure you I’m not. I would fill this post with rainbows and smiley-faces if my reputation were able to such a hit. Don’t be concerned. Did you not notice the little winking smiley face? I’m glad that I’m among those blogs that make you think…and seriously from your comments, I understand where you’re coming from. No worries, really. I hate that I just said no worries, but you being from CA should understand that. :). I know that you’re sincere, Smak and I dig your take on things. You are always welcome here. I make no judgements and I’m so happy that you take the time to read and express yourself. I know you’re good people. I’ve never thought about joy and being happy as separate things but I kind of see your point now. I definitely think there’s a lot of emphasis in our society to “find happiness” since that’s an approach we’re used to- proactive problem solving. Some of the strategies work, others I think are overrated. When push comes to shove, I think the key thing is mindset. As you say, a lot of it is under our control and if we can stay positive but also be kind to ourselves when we’re feeling down, I feel like that’s something that would help in the long run. Yeah, Lillian I think they are. I don’t think either one can be forced. 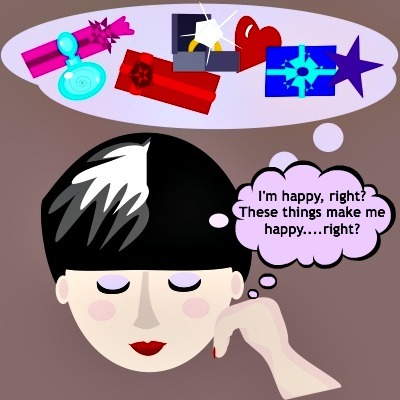 Certain external things can make life much much easier and when life’s easier, you’re probably a more happy person. But true happiness and joy is much more of an internal thing. There’s leaders/great minds throughout history that’s proven that. And yes, mindset has everything to do with it! Thank you and hope it wasn’t too sappy. ;). Little things make me happy such as seeing a movie line that stretches from New York to Eternity and then seeing my friend arrived before me and he’s standing 8 people back. That type of thing pleases me immensely. At this stage in life I strive for pebbles of contentment. I’m not expecting boulders of it to roll my way. V, I know what you mean or when it’s pouring rain and a parking spot near the door appears. I like that pebbles of contentment. Still those snippets of joy are pretty great too. Thank you for your comment! I spend most of my time in the same “happy but a little irked” area you mentioned. I have to work at it though, especially to not move past the irked stage. I hear Dr. Phil in my head (scary I know) asking, “would you rather be happy Christy, or would you rather be right?” These days, I’m happy to just be happy. Happiness and our attitudes are really about the only things we control. We can’t control what happens around us, but we can usually control how we choose to react. I do love those moments of sheer joy though- a new song from a favorite artist, the smell of cookies baking, a laughing baby, happy cows, a silly wedding dance video, a poem that moves me to happy tears. I find that I can appreciate that joy a lot more since I have had my share of painfully distraught days. And what’s that saying? You can’t know one thing without knowing its opposite? I guess what I’m trying to say is your post made me happy. Thanks-you! I wish you a wonderful weekend. Christy, I know of what you speak of! I used to want to always be right but it’s too exhausting. So, I just do what I read Buddha said — when someone’s trying to get you to believe their way of thinking and doing it in an angry way where you begin to feel defensive and angry and getting worked up, instead of defending YOUR beliefs, just reply, “You may be right.” That diffuses everything and both walk away still believing what they belief without all the hurt flying around. That’s one REALLY difficult, but it works like a charm. And yes, those painful experiences bring us clarity and wisdom and guide us toward appreciating the good and the joy that can exist — does — every day if we’re open to it. I think we’re all just a work in progress. All the time. Sometimes we get it right and sometimes we don’t. What a wonderful compliment — thank you so much. Glad I wrote something that make you happy and I hope you have a great weekend! “I try to be positive for the most part because it feels better”– Your positivity vibes,along with a few other of my favorite WP writers, lift me up on on many occassions. I think you (and Grippy) really walk the talk. And I dig that. Contentment and “meh” ment= me and I am cool with that. Even Steven, ya know? Does that make sense or am I just having a fuzzy moment at 5am? Hi Audra, it takes work but it’s worth I think and thank you for putting me in the class of some talented and groovy blogger/writers. I love even steven, got off the roller coaster thing a long time ago. You’re not having a moment. You make perfect sense, despite your lack of sleep. :). Great post, as always. Interesting fact about external factors only contributing to 10% of happiness, 40% to choice, 50% genetics (although I wonder about “nature vs. nurture”). I love your take on joy – that wonderful feeling that comes and goes and comes. I rarely cry, but usually my tears arise more through joy than sadness and they’re almost always a surprise – not something that I really cultivate – joy just shows up. I still think that there are differences in people and their availability to joy – maybe a latent happiness that allows them to feel it more fully? Don’t know. I would say that as I’ve gotten older, I look for more reasons to be happy or at least not negative. I always look forward to the emails announcing your posts. Thanks for a nice Saturday morning contemplation, Brig. Thank you, Cathy. Someone (not sure who, some famous writer — maybe Thoreau?) said something like 99% of success is attitude….something like that. I think he meant how we deal with situations. I don’t know about these statistics — this was info I found from an author’s research and as any stats can be skewed accordingly I’m sure. And you’re right — I think Joy is unexpected which makes it so much better. Happiness is contentment, peace — at least to me — but joy, totally hits it right out of left field sometimes, you know? I try to do that — look for reasons to be happy and grateful — they’re usually always there if you try. I look forward to your lovely prose and photos as well, Cathy. Thank you so much for your kind comment. so interesting that 50% is genetic. I’ll admit that I’m the eternal pessimist. But Le Clown is one of those annoyingly happy people, so it’s a good balance. Hi Sara– so nice to see you stop by. I don’t know how accurate that is, but I do think many of our traits and our internal stuff come from genetics. Kind of make sense since it’s responsible for some of our physical ones, right? You don’t always seem like an eternal pessimist because your posts and your art certainly inspire — so what is that — that’s positivity right? Now I know Le Clown can be annoying and mischievous but he does have a beautiful and loving heart, right? ;). I’m the same, Sara — my other half balances me as well. I’m much more high-strung, he’s much more easy-going. Thank you for your comment, friend. It’s always a pleasure, BB. Grippy sort of touched on it, but I really enjoyed your contentment vs. joy angle. I think sometimes people see happiness as only the over the top happiness, but I almost see that as a trap. How can one sustain that? Contentment, I have found, is much more important. Great post. Hi Fish and good morning! Thank you and I agree with you. We can’t possibly be Mary Poppins all the time, can we? That’s exhausting. Yeah I’m big on the contentment and peace thing and let the joy pop up when it pops up. ;). That was a great find! Good cartoons are awesome, because they can be insightful and funny while (hopefully) not being pedantic. I love comics and graphic novels just for the reasons you stated! What the hell does pedantic mean? Just kidding. :). It’s interesting to think about genetics and emotions. Hi Soul, thanks and hope you’ll come visit again. :). Great post on the mystery of happiness. Great post! I frequently go through all the different emotions, sometimes all on one day, but I have noticed lately that even though I may have plenty of stress, I can focus on something small and get a really great laugh out of something, and that really changes my mood. Watching a show like QI on TV, or just going for a walk with a group of friends along a beachfront on a sunny lightens my mood. I seem to be a bit like a radio, and need to be tuned in to the right station. Some people seem like old tapes that are always stuck on the pause or rewind button, and they seem unable to move ahead emotionally. Little kids can get pretty angry and upset, but they can change their state of mind really quickly and don’t dwell on things like adults. Maybe we all need a tiny dose of dementia so we can forget all the slights and upsetting things and start anew on a regular basis with a clean mental slate. I have reblogged your post on my blog. Kate, thank you for your input and your insight! I love how you’ve written, “we need to be tuned into the right station.” I think that’s it exactly. Sometimes stressful situations or people can get us off track and we need to remember that we choose to be happy or at least at peace. So glad you enjoyed the post and welcome! Hope you’ll visit again soon. I find myself feeling sad when I wonder how happy I am. When I’m doing things I like, I’m not bothered. And I found some article online that people who look for happiness are less likely to find it. I know it sounds like some twisted new-agey pseudo-philosophy, but I think it has more to do with the fact that those who are unhappy are the ones who are desperately looking for happiness. Chicken or egg? I agree with you that joy is quite different from happiness. Hi B! I think there’s a happy medium that most of us fall between. Glad the post made you think but I didn’t want it to make you sad! Don’t worry be happy. ;).